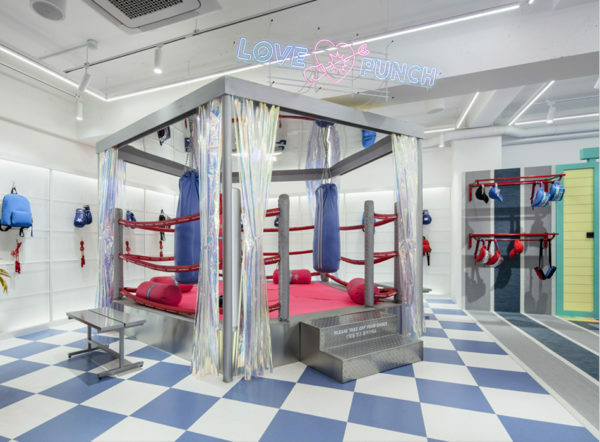 Stretch Angels opens it’s first retail space with two playful themes that engage shoppers on more than one level. 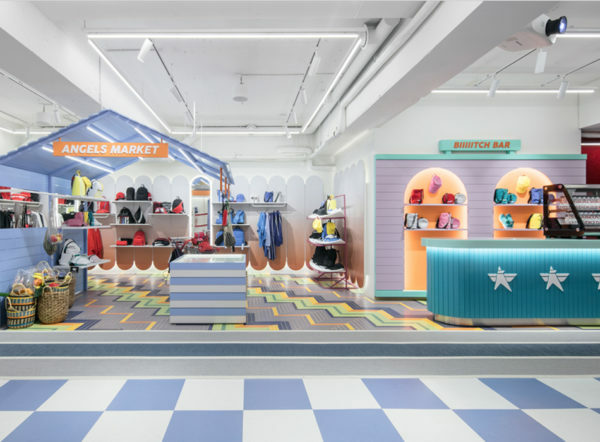 The setting on the lofty ground floor is all about air travel, and presents different settings with colourful furnishings that capture the theme, but also with some whimsical elements thrown in. Taking centre stage is a planter, shaped as a conveyor belt and featuring faux tropical plants. 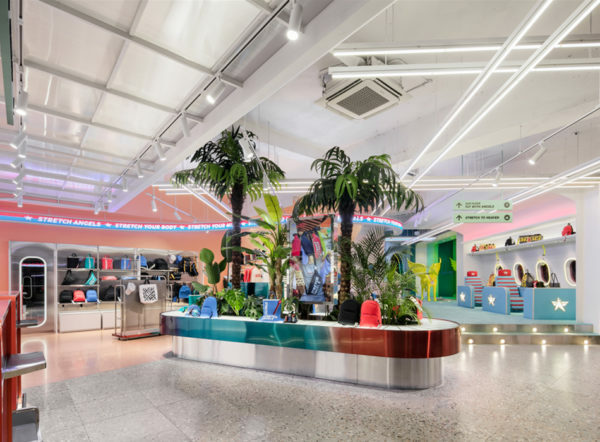 Check-in counters serve as cashier desks, and on the far right, an airplane cabin setting can be found, and quite interestingly, it comes with an aircraft hull-inspired backdrop that also shows on the shop façade, replete with faux emergency exit door. Decorative lighting plays a pivotal role in the interior design, and is captured by backlit design elements, a suspended illuminated sign that runs parallel to the back wall, and last but not least, tubular light that run along the ceiling in a graphic pattern. At the back of the store, near the staircase, an honour podium and athletics track line markings hint what’s to be found upstairs. 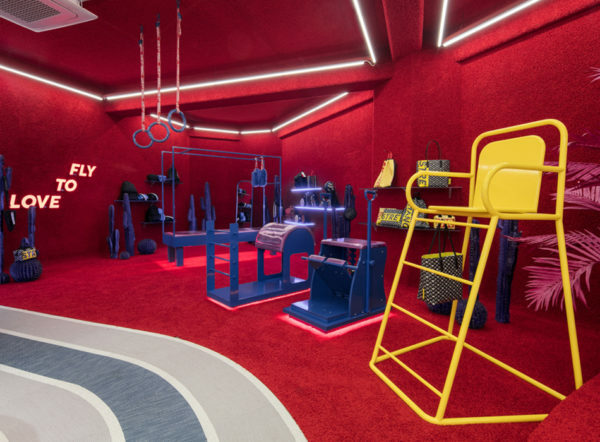 One floor up, the travel theme blends with sports elements and sections that reflect daily life, and all is captured in equally colourful settings, including a pilates area clad in fluffy red velvet and a faux swimming pool.